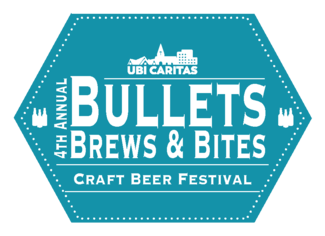 Th 4th Annual Bullets, Brews & Bites event is happening Friday, May 3rd, @ Courville's in Beaumont. We'll have some great music, best craft beer around, along with some local restaurants/businesses that will be offering food pairings to match certain beers. 2-Row Distributing always pleases with the craft beer choices and we expect this year to be no different! We will have a great gun giveaway available too. This is a 21 & up only event. This event will not only raise awareness, but also funds for our health clinic and programs that support both children and the uninsured in Southeast Texas. Hopefully my wife can be in the building. She won't be drinking.